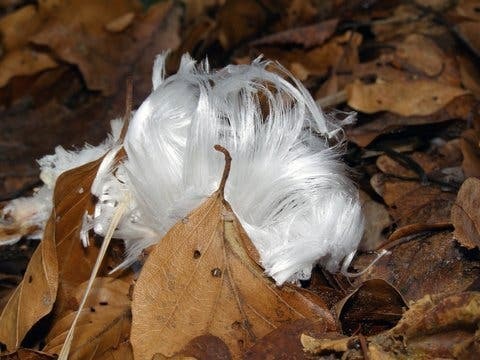 You may have seen it in forests, and may have dismissed it as an eerie curiosity – a type of ice that looks like white silky hairs, a bit like candy floss. It only grows on rotten branches of trees under very specific conditions, during humid winter nights when the temperature drops just below 0 degrees Celsius. Scientists have believed it is caused by a fungus for over 100 years, but it wasn’t until now that this theory was actually proven. 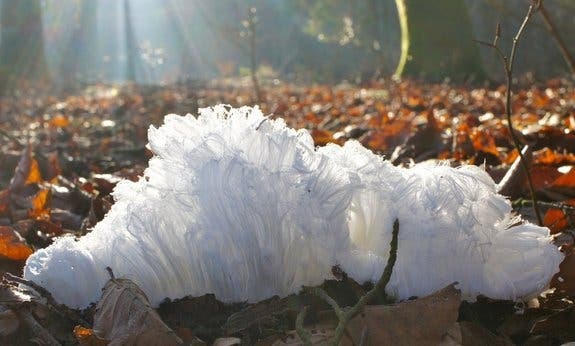 Hair ice discovered on the forest floor near Brachbach, Germany. Credit: Gisela Preuß. 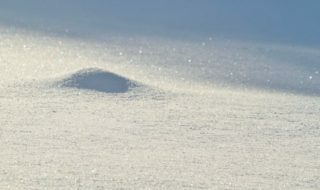 Alfred Wegener, the famous geophysicist who first proposed the theory of tectonic plates, first discovered white ice in 1918; he and his assistant identified it as a mycelium (the thin threads of mushroom growth), and for almost a century, no one paid any scientific interest to hair ice. Some 90 years later, retired Swiss professor Gerhart Wagner showed that treating wood with fungicide prevents hair ice from growing, therefore confirming the idea. 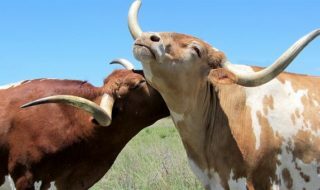 Now, another Swiss researcher wanted to find out more – and they did. Mätzler, a physicist, teamed up with a chemist (Diana Hofmann) and a biologist (Gisela Preuß) in Germany. Inspired by earlier work, and by photographs of hair ice sent in from various countries, they performed several tests on the ice to see how it grows and how its structure develops. Preuß studied samples of hair-ice-bearing wood collected in the winters of 2012, 2013 and 2014 in forests near Brachbach in western Germany and found several different fungus species. “One of them, Exidiopsis effusa, colonised all of our hair-ice-producing wood, and in more than half of the samples, it was the only species present,” she says. Hair ice in forest near Moosseedorf, Switzerland. Credit: Christian Mätzler. 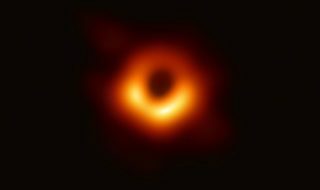 Mätzler’s contribution was understanding the physics of the ice. 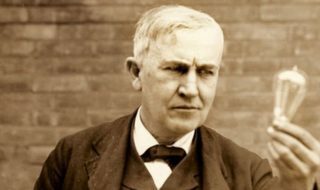 His work confirmed guesses made by previous researchers, showing that the mechanism that creates the ice filaments at the wood surface is ice segregation. 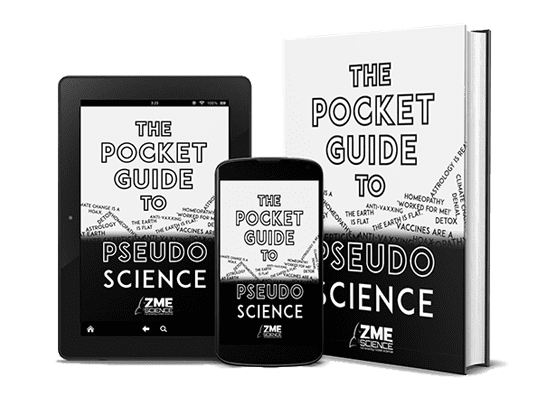 “The process of Ice Segregation takes place in a porous medium when supercooled water moves to the presence of ice and adds to the ice through freezing. In this case the ice grows away from the ice/water interface,” writes Dr. James R. Carter a professor at the Illinois State University who was not involved in the study. 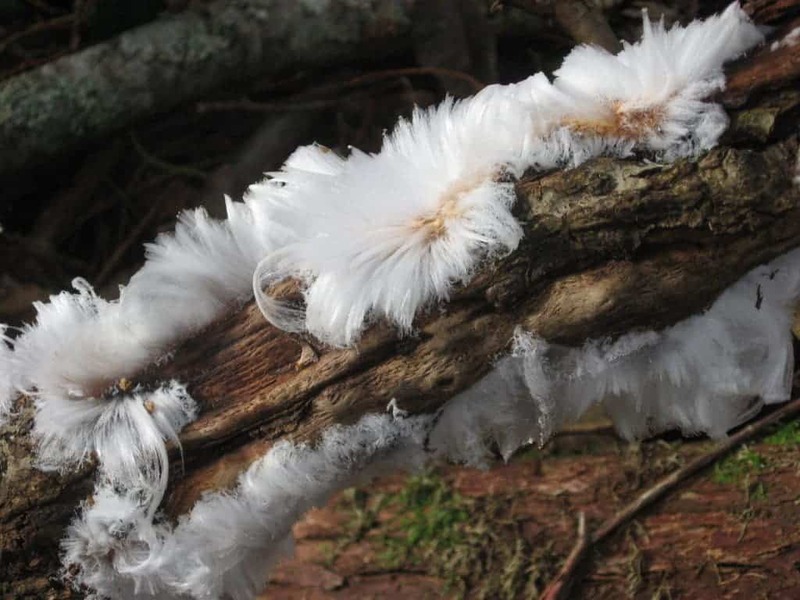 Interestingly, the fungus formation doesn’t affect the quantity of ice in any way – only its structure. Hoffman then studied the hair ice itself, chemically. She found that the ice contained fragments of complex organic molecules – lignin and tannin – involved in fungus metabolism, further confirming the fungal effect. 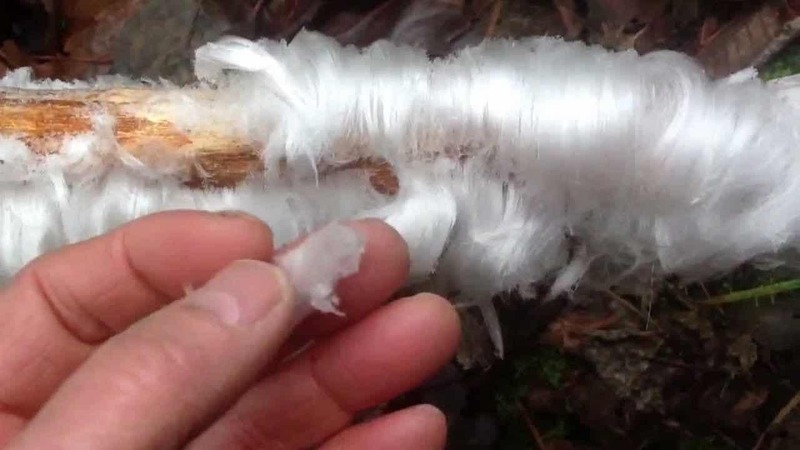 It took over 100 years to confirm Wegener’s theories about hair ice, a fairly common phenomenon; this can makes me wonder, how many other common things are still waiting to be understood in our forests.